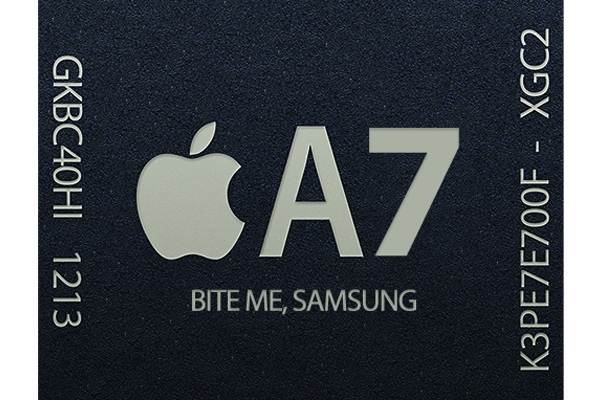 No Apple A7 for you at least not until early next year. Hope that Apple would release an exciting, nay, radically remade iPhone or iPad in 2013 have taken a severe blow. Though one should not underestimate the Cupertino, California-based company’s ability to delight and amaze, it now seems likely any new mobile products in 2013 will be powered by last year’s processor. DigiTimes is reporting that Taiwan Semiconductor Manufacturing Company (TSMC) expected to tape out the Apple A7 chip (20nm process) in March. That will be followed by risk production in the May-June timeframe and, wait for it, then commercial shipments in the first quarter of 2014. Tapscape has previously reported that the iPhone 5S — a.k.a. this year’s Apple smartphone update — will be powered by an A7 processor. In fact, until now, it seemed all but certain that an A7-powered iPhone 5S was in the cards for later this year, perhaps as early as August. Assuming DigiTimes is correct — always a dicey proposition — this leaves open the question of what processor Apple will use inside the iPhone 5S. Then again, with both Intel and Samsung already tapped to produce the A7, perhaps TSMC’s role is less important than previously thought. Nevertheless, can Apple really afford to push out yet another boring “S” iPhone update? With the Samsung Galaxy S IV set to batter their market share, surely Apple can do better?